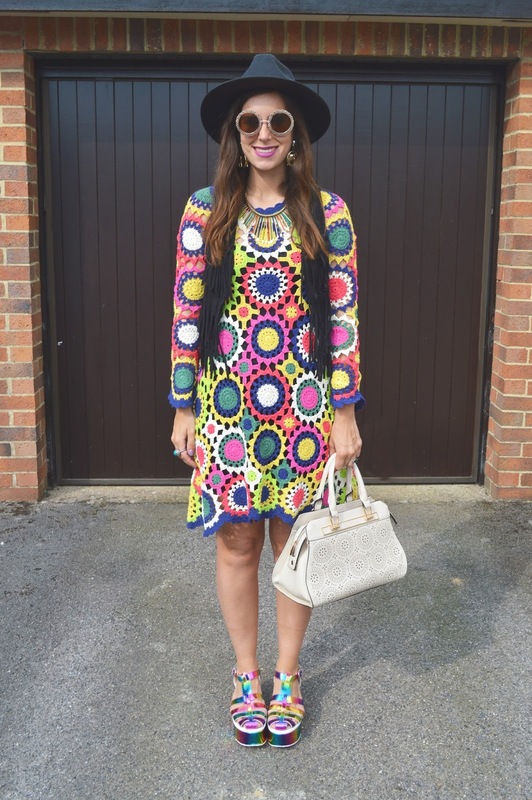 Crochet and colour are probably my two favourite things so this dress ticks all the right boxes for me! 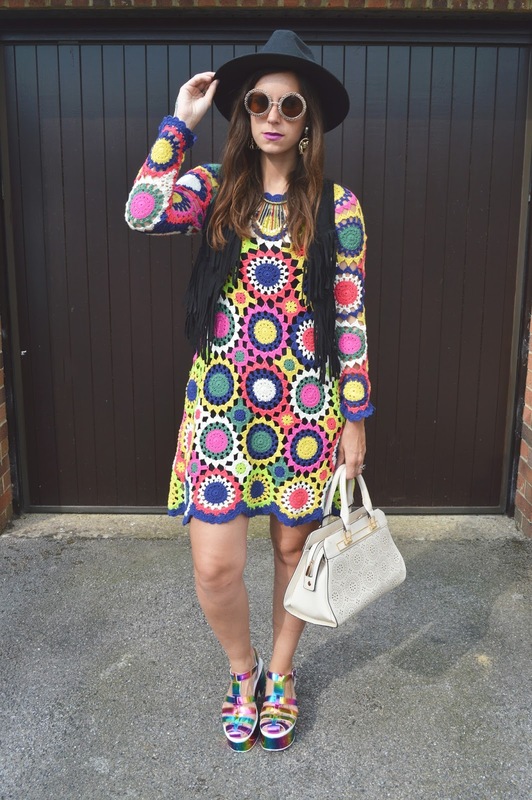 For this summers folk trend crochet is just a big YES and I have been dying to get my hands on one since the Meadham Kirchoff crochet dress of dreams! It's the perfect daytime summer dress and would be great for festivals and at only £50 it's a great price! I went for all out rainbow and thought my YRU platform sandals would go with the whole rainbow theme perfectly and I just love them! I layered up a little fringe waistcoat over the dress for another little layer as you don't need a jacket in this weather. 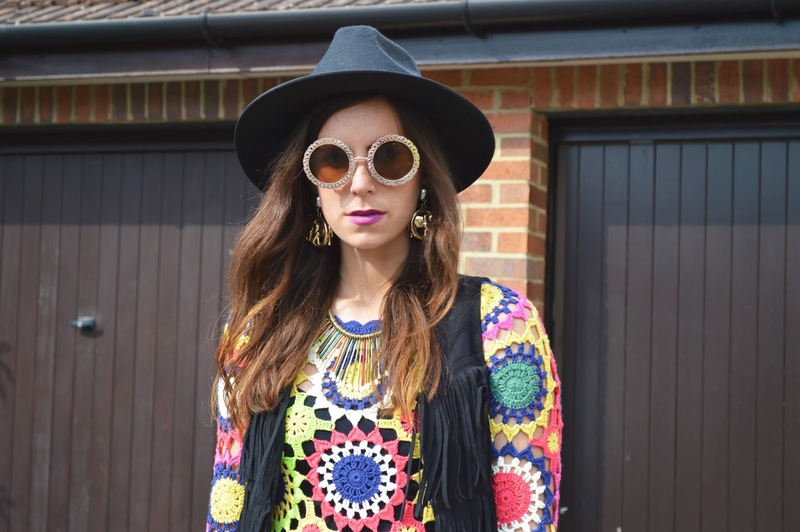 I am in love with my new sunnies from Topshop they have a floral gold edge and matched the circles in the dress perfectly, I also wore gold elephant earrings and a necklace c/o Amy's Mum Corinne :-) My trusty fedora brought out the black in the waistcoat and my Smashglam bag with cut out detailing went perfect with the crochet pattern! 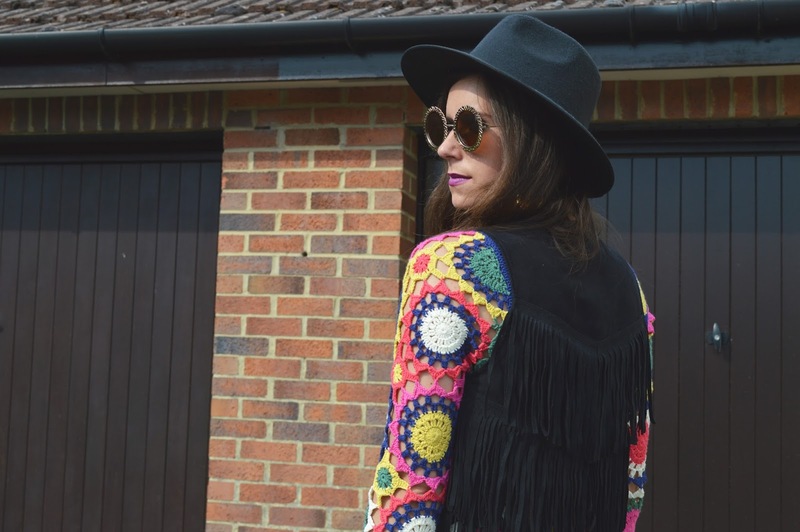 I am so over the moon with the purchase and highly advise everyone to invest in a bit of crochet-tasticness this summer! Do check out the UNIF ones they are amazing!! !